Come enjoy the SURF Fellows' talks! 196 students participated in this year's 2018 NIST Summer Undergraduate Research Fellowship (SURF) program. 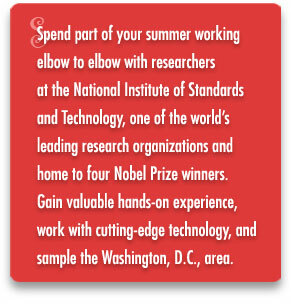 The program gives the students a chance to see and experience the excitement that comes with a technical research career by working side-by-side with one of our own NIST scientists or engineers during their summer break. This summer's undergraduates come from 100 different schools (from two-year colleges to major research universities) and represent states and territories across the United States from California to Puerto Rico. The summer's program culminates in a three-day colloquium (August 7-9, 2018) where the undergraduates present 15-minute talks. Links to a detailed colloquium schedule and online colloquium book are listed below. Have you order your 2017 SURF T-shirt? 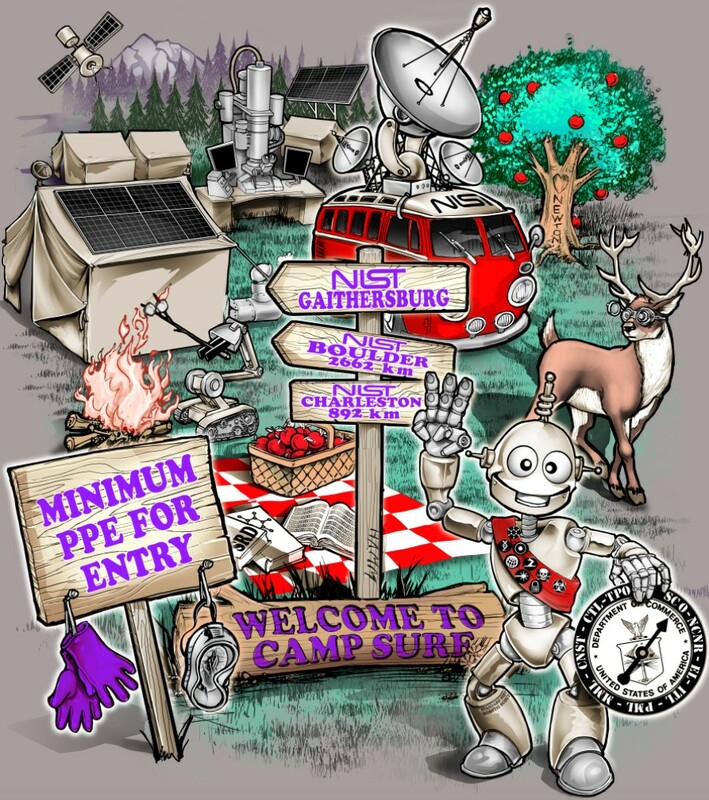 Each summer, SURF participants leave behind a legacy at NIST in the form of a SURF designed t-shirt. 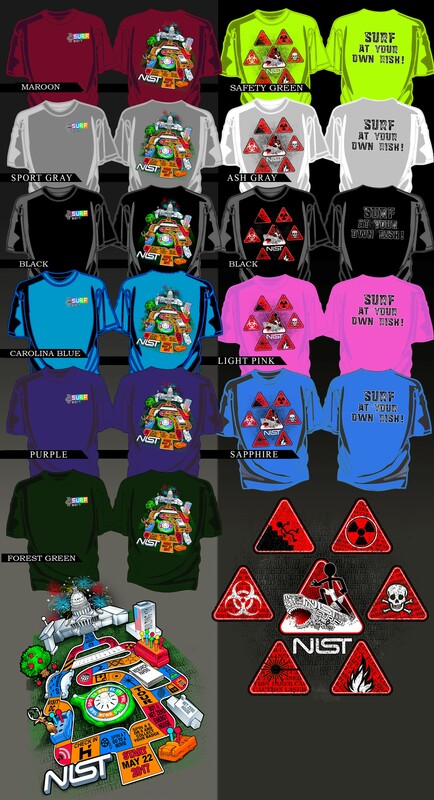 This summer's SURF cohort produced 2 designs based on a Game of SURF and Hazards themes. Available in short sleeve ($10), long sleeve ($13), pullover hoodie (18), and zip hoodies ($23), the SURF t-shirt committee will be accepting orders in the NIST main cafeteria starting July 11, 2017 during the hours of 11:30 AM to 1:00 PM. Please bring your completed order form(s) which are design specific and payment (sorry, cash only) at the time of purchase. All orders must be received no later than July 17, 2017. Don't miss out on the opportunity to own your piece of NISTORY! Congratulations to Andrew Gayle, a 2015 and 2016 SURF participant and his mentor Dr. Robert Cooks who were recently notified that their paper, Mapping viscoelastic and plastic properties of polymers and polymer-nanotube composites using instrumented indentation, published in JMR 31(15), has been chosen as the 2016 JMR Paper of the Year. The JMR Paper of the Year Award recognizes excellence in advancing materials knowledge through written scholarship. As a part of the award, the paper will be made freely accessible in perpetuity on the JMR publication site on Cambridge Core. Dr. Cooks and Mr. Gayle will formally be presented with the award at the 2017 MRS Spring Meeting in Phoenix on April 18th. 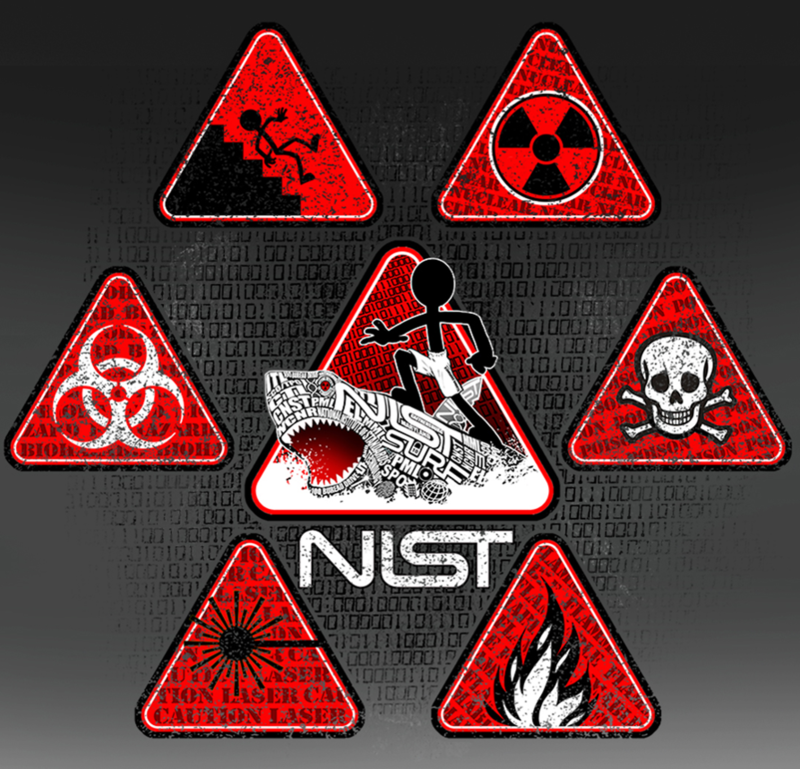 The first week of August is always an exciting time for the NIST SURF Program. Why? It's the week which the SURF Colloquium happens. 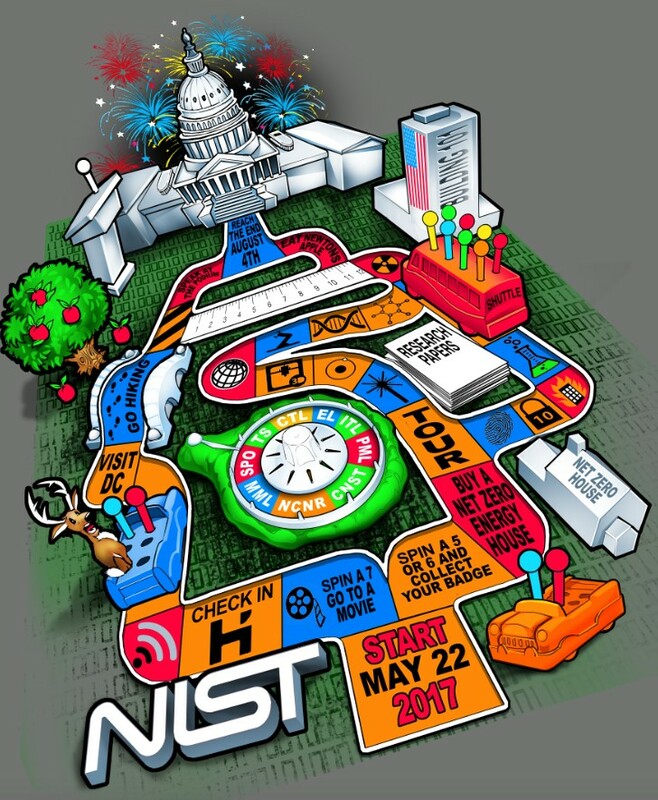 On August 2-4, 2016, you are invited to listen to the research accomplishment from the 188 participants of the 24th cohort of the NIST SURF Program. Please click on the links below to see the schedule of the talks and the colloquium booklet (which contains the abstracts). Interested in learning the benefits of participating in SURF Program? Read the latest blog post about the SURF Program on the NIST Blog by clicking on the link below. Center for Nanoscale Science and Technology (CNST).